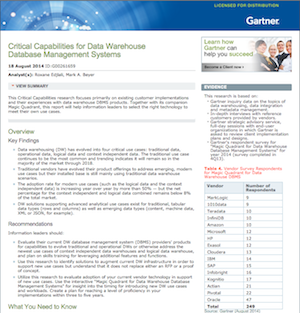 This Critical Capabilities research focuses primarily on existing customer implementations and their experiences with data warehouse DBMS products. Together with its companion Magic Quadrant, this report will help information leaders to select the right technology to meet their own use cases. © Pivotal Software Inc. All Rights Reserved.